To a red-blooded fisherman / woman (yes, Mothergooseberry is hooked on fishing! ), it is both art and sport. In Missouri, March 1 each year marks the beginning of Trout season. There is nothing more tantalizing than the thought of those trout who have gone hungry for so many months taking note of that morsel you drop right in front of his nose and watching the battle of the wits begin. Trout are by nature extremely suspicious and wily, as fish go. But they also get mighty hungry when fisherman haven’t been literally throwing food at them for several months. And so it begins. Whether you are a rod and reel fisherman, a cane pole fisherman, or the “purist” fly-fisherman who ties his or her own flies, the thrill is the same when that strike happens and the fight begins. And let’s face it, there is nothing like the taste of pan fried trout or trout almondine to make all that standing around in cold weather, in colder water, worth it. Mothergooseberry Books offers several books to help you hone your fishing skills. 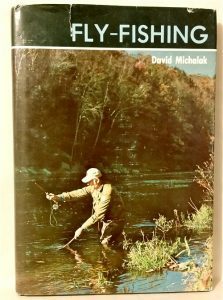 Posted in Books	| Comments Off on Fishing—Art, or Sport? Jefferson City High School voices at their finest! Were you there in 1965 or 1970? 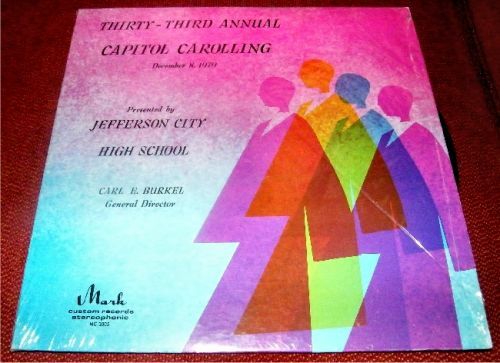 The 2018 Capitol Caroling event is coming up December 11, 2018, and we thought of these treasures we have on our bookshelves: LP Record Albums of two beloved performances. Both were directed by Carl E. Burkel, who sadly is no longer with us. And perhaps many of those voices heard on these albums are also no longer with us. Were you there? Perhaps you were even one of the singers or instrumentalists. These are time capsules on vinyl and they still sound great. (Yes, Mothergooseberry still has a turntable to listen to gems like these). 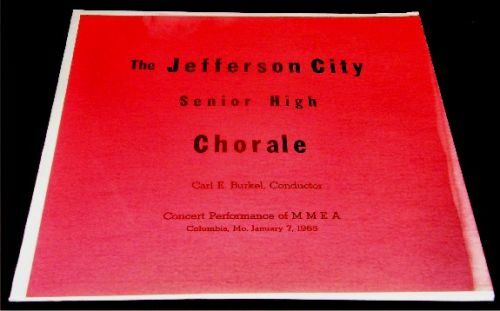 Posted in Books	| Comments Off on Jefferson City High School voices at their finest! Were you there in 1965 or 1970? 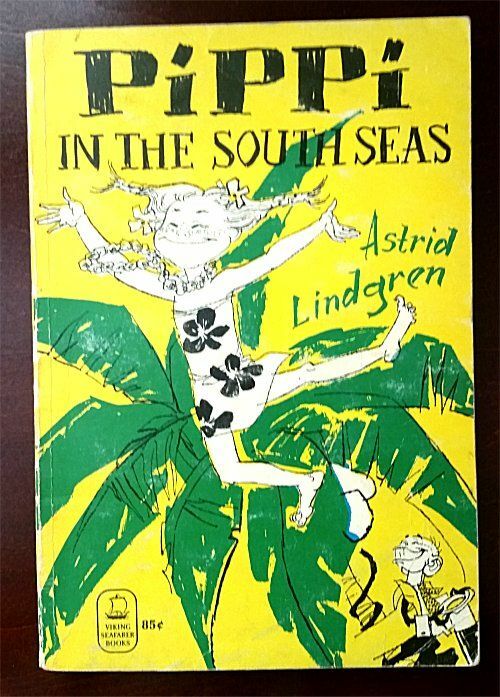 Pippi in the South Seas is the third book in a series after Pippi Longstocking (also available, but a bit more collectible) and Pippi Goes on Board. This one is a wild and crazy tropical adventure! These books had me completely hooked as a girl. I read all three many times, unable to get enough of Pippi’s unusual ways and unconventional childhood. I wasn’t quite daring enough to actually wish to be Pippi, but I lived vicariously through her friend, Annika, laughing, wondering, and adventuring along with them and Annika’s brother, Tommy. As an adult, I have enjoyed sharing them with my own children. Please note, having an older edition of this book only adds to Pippi’s charm! My own set was worn, yellowed, and even burned in places, which I am convinced lent to the mystical feeling I had while reading them. While this particular book is in better shape than mine, it is still old enough to have extra magic. Enjoy this book! There is no literary character I love quite as well as Jane Eyre. This book is the beautifully written story of a plain, little woman who, despite every circumstance set against her, manages to shine with intelligence, independence, and moral strength. Despite the Victorian backdrop, which I love, modern readers will adore our protagonist’s way of speaking her own mind. Her conversations with her love interest are marvelous. Although there is physical attraction, this is really an equally matched romance of hearts and minds. Jane is no ingénue! Of course, this book has so much more than a strong female character and a beautiful romance. It has mystery, heartbreak, and tragedy. 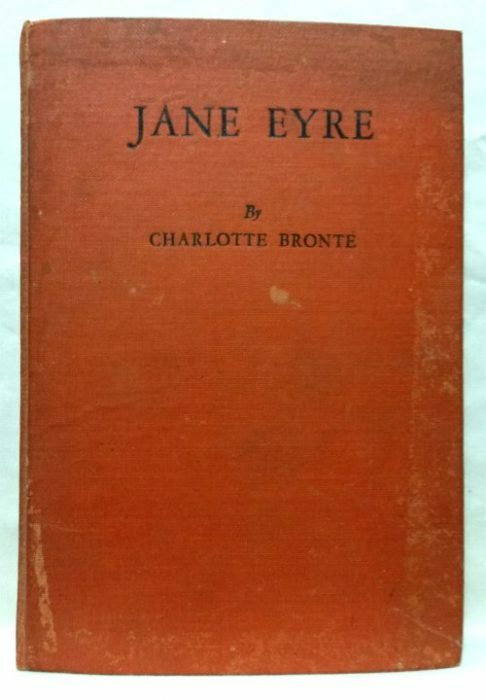 Jane Eyre simply must be in your home library! Just ran across this gem while inputting our postcard inventory and it was like stepping back in time. This was sent as a Christmas card on Christmas Eve, 1912. It’s hard to do justice in photos with items like this, but you can see how gorgeous it is. 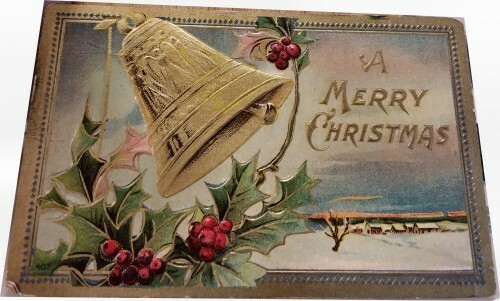 Posted in Ephemera	| Comments Off on Merry Christmas…106 Years Ago! While this collection of stories by Du Maurier is always interesting (her writing is so good it inevitably keeps you turning the pages to find out more), the conclusions of the stories often fail. 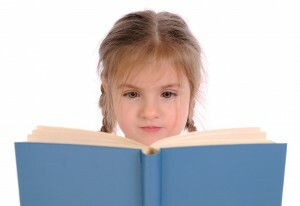 Meaning is far too ambiguous to ever satisfy that eternal reader question “why did I read this?” Ambiguity can sometimes work well in literature, but at other times, it’s essential that an author provide a moment of clarity – if not spelled out, then in a single clue that can, potentially, be unraveled. This potential is not available with most of these. Granted, there are a couple of exceptions. The title piece, “Don’t Look Now”, is a simple fatalistic tale with eerie Venetian landscapes and characters thrown in. The pieces all fit. The final “moment” when the pieces fit together is…ridiculous…and then it ends. There is no real profundity. But it’s a fun ride. The Greek mythological “Not After Midnight” promises so much…and then just doesn’t deliver. What’s more, it leaves multiple loose ends dangling behind its already sinking ship. I enjoyed reading it but, like the first story, at its conclusion was really disappointed. There were so MANY different, fascinating directions this story could have gone and then it just sort of sits there. The prologue is, in some ways, forgotten – or she just gambles too hard on the reader being sure about her intentions. I’m probably alone in thinking that “The Breakthrough” is the best executed of all the stories in the book. It has a beginning, a middle, and an end. A twilight zone, paranormal piece that, while leaving me uncomfortable, didn’t waste my time. While I can’t say that I “enjoyed” the ending, it felt cohesive. I never want to read “A Border-Line Case” again. I didn’t like the people and the ending does not need to exist. (I’m fully aware that some people will just want to read it more after my saying that, but I’ll just say the trick’s on them) I actually felt scammed at the end of this story. SCAMMED. And nauseated. “The Way of the Cross” is the weakest of the lot. It isn’t ever anything. I think it’s trying very hard to be profound but comes up gasping for air after swimming in very shallow waters. Sadly, I had the highest expectations for this one. It started with a very interesting structure – it was going places – and then suddenly I felt like we were back in the airport souvenir shop buying postcards and a cheap sandwich and we hadn’t really seen anything except the inside of our hotel room and why oh why did we waste money on this trip? I love Du Maurier, but I probably won’t pick this up again. My final thought was that this is a collection of rejects from an author who typically does astonishingly better work. This felt like some sort of peace offering to an agent who just really wanted to publish something else. We have a lot of that, and we get really excited when we come across something so scarce that we wonder if it has to be a one-of-a-kind find! One example is this postcard for which we could find no other example anywhere on the internet. 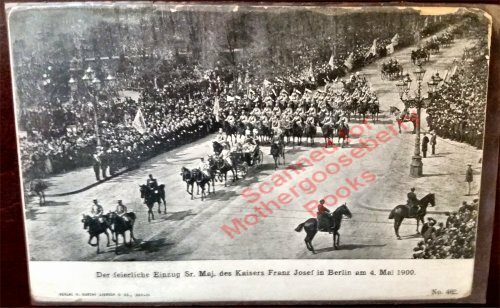 It is a photographic postcard of a very historical event: The entry of Kaiser Franz Josef into Berlin on May 4, 1900. It is so scarce that we even watermarked our photo to discourage pirates from borrowing it and trying to sell if they don’t really own one. If you want to own this for yourself, just click on the linked postcard below! Entry of Kaiser Franz Josef into Berlin on May 4, 1900. We have another really great article of “ephemera” to share later! In the meantime, enjoy your trip back in time on paper. Remember having to give “book reports” when you were in school and getting graded on them? Well, stay tuned for reviews of some of our books. Oh, and no one will be handing out grades on our reviews. We love books! And chances are so do you! Welcome fellow book lovers! We love books and chances are you do, too! Reading transports a person to the most exotic of destinations. Through the magic of books, we experience people, places and things not only in the ancient past, our present day time, but even the future. Reading and writing remains humankind’s most advanced and remarkable technology and most powerful tool in changing minds, civilizations, history, and destinies. We will share a common love here. Our love of other worlds found in the pages of those treasures we readers cherish: books. But most of all, we will share. Posted in Books	| Comments Off on We love books! And chances are so do you!